I am currently sitting in Lymington whist righting this which means we are on our way. Our week on the hard has finally ended and to be honest it has been one of the most challenging I have had for a while. My Dad finally managed to correct the damage to the Hydrovane from the faulty fitting and the mast arrived, although late all was in order. We had to renew the bilge pump and several other things before we could depart so everyday my Dad and me were working against the clock to get her in the water. We also employed a contactor called John Pike who managed to make our top-sides look like new and also replace most of our seacocks. We also employed an electrician to prepare and install all the new mast fittings. 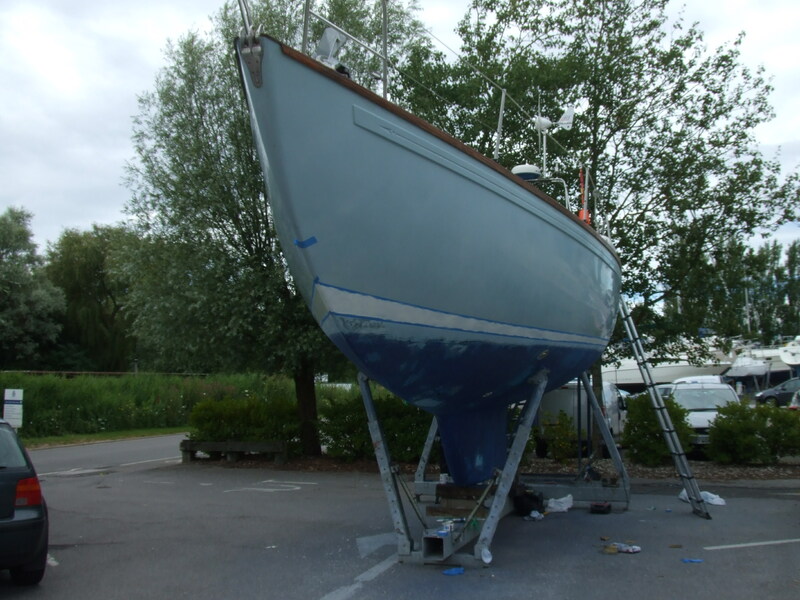 The latter days were spent stripping the old mast and discussing the new rigging with the team at Holman Rigging. 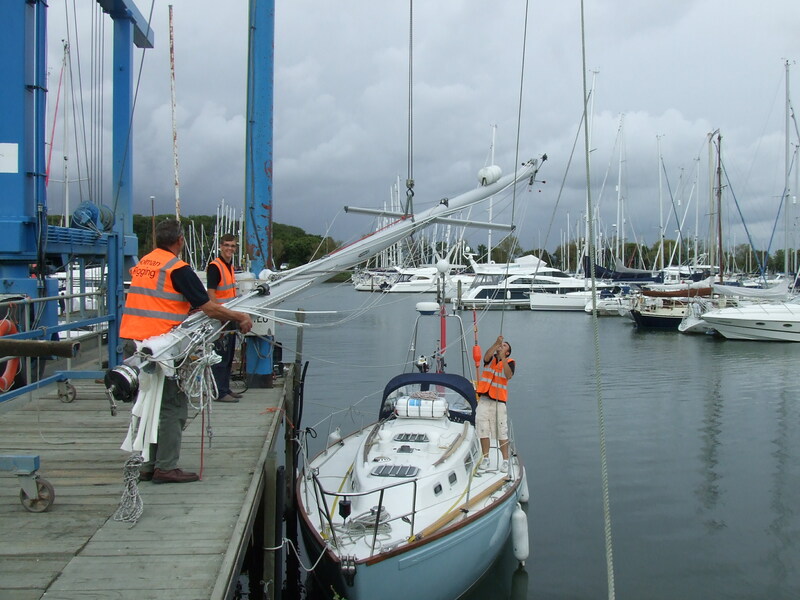 Our mast finally arrived on Monday, 5 days later than expected but Holman Rigging pulled all the stops out to have the mast installed last Tuesday so that we could leave on the Wednesday. We took a break on Sunday and were visited my several friends, Tim, Emma, Jasmin, James and not to forget the most important, Carlotta, who came on the Friday night to assist with us with the final preparations; Thank you all for making the effort to see us. Congratulations is in order for Tim who upon visiting us in Chichester has today purchased a Halmatic 30 sailing yacht; good luck Tim. 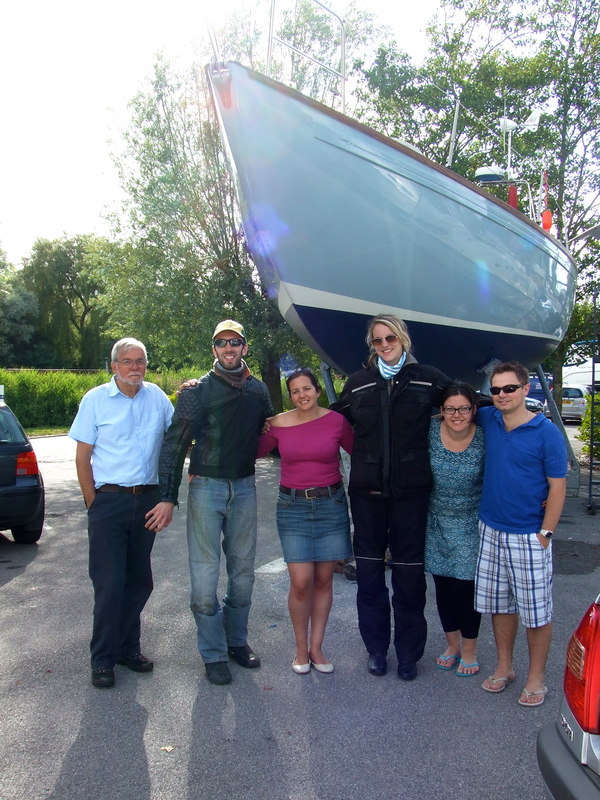 Some of the support crew (Left to right) – Dad, Tim, Carlotta, Emma, Jasmin and James. So, our adventure starts. 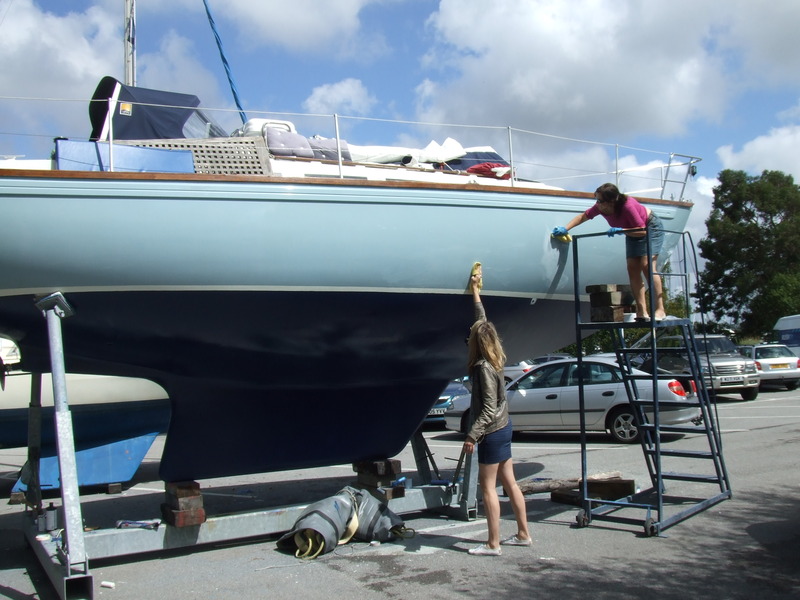 Troskala is now fully ready for her circumnavigation and the confidence I have in her is immense, I feel safe in the knowledge that all important aspects are covered and that now we can pull back on the spending and enjoy the sailing. Our plan now is to sail from Chichester on Wednesday and head for Cowes and then onto Lymington before crossing over to Salcombe. Posted on 09/08/2012 by magneticdeviationTagged travel. Thank you Kathy and I wish you every success with your competent Crew course; please let me know how it goes. Remember there is always space for you too, we would love your company so find some time and join us. All the best to you both you are a lovely couple. Good luck with Baleen and the job.